During December and into the first half of January, the main question was “when will winter arrive?" Temperatures during December were well above normal across most of the country. British Columbia and the Prairies were 2C to 4C above normal during the month. Ontario and Quebec were also warm with most locations reporting monthly averages 1C to 3C above the long-term average. The Maritimes were the exception to the above-normal trend as temperatures were slightly below normal for December. The warmer than normal temperatures in the western regions of the country are likely associated with the developing El Niño. This warmer than normal trend is expected to continue through the remainder of the winter months in the Prairies and British Columbia. That doesn’t mean winter would not make an appearance this year, as we were reminded during the third week in January. Overnight lows during the week dropped to the -15C to -30C range across the Prairies. Lows in central and eastern Canada were slightly milder, but still in the -10C to -25C range. Welcome to winter, Canada! The below normal temperatures were accompanied by significant snowfall in central and eastern Canada. The high winds and snow combined to create blizzard conditions across most of the region. The impact of the mild winter weather to date has been mostly positive for the grain and livestock sector in Canada. Winter cereal crops have not been adequately protected in eastern or western Canada, but temperatures have been mild enough not to cause significant winterkill concerns. Dryness during the first half of winter in the Prairies is causing some concerns about the moisture situation in the spring in southern growing areas. Mild conditions have been good for the cattle sector, especially in southern Alberta. The recent outbreak of cold weather is expected to be relatively short and unlikely to cause significant stress on livestock operations. The return of more typical winter conditions in late January has not undone the benefits of the mild winter conditions during the first half of the winter season. Winter has been gentle so far across the country, except in the Maritimes, with milder temperatures and little snow. Canadian crops are generally fairing well with not much concern for winterkill. Mild temperatures have been good for the cattle sector. The recent cold snap is forecast to be short and not have much impact on the crop or livestock sectors. Except in the Maritimes, this winter has been gentle. 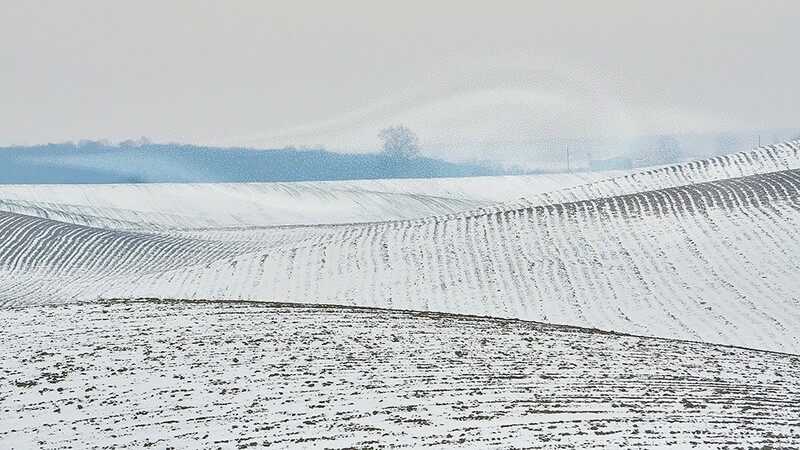 Mild temperatures and little snow mean Canadian crops are generally fairing well with not much concern for winterkill.